There are many outside forces that can damage your residential roof; falling trees, high winds, pests and rain to name a few. Even the most minor of leaks can cause extensive damage to your home and everything inside of it. With just one call to Ammons Roofing, a team member will inspect your homes roof to determine necessary repairs that will minimize damage to your home and assets while restoring integrity to your roof. Keeping your home in order starts with your roof. Let our team of experts ensure the long-standing success of your roofing system. 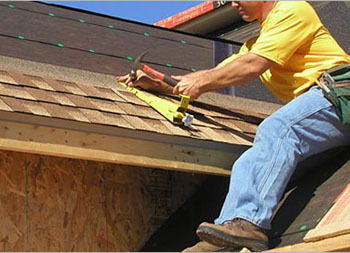 Ammons Roofing offers service to the Pampa, Texas area and neighboring communities. Call our office today at (806) 669-7777 to see if your home is in our service area. When you contact our Pampa, Texas office you can expect first rate service provided by highly trained individuals. 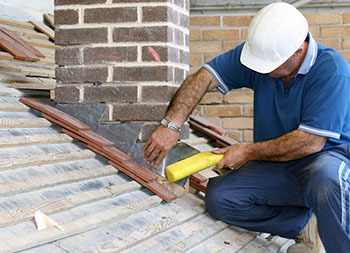 Our roofing repair mechanic will evaluate your roof to determine the source of any leaks or damage. You will be provided a written and detailed proposal that will include any necessary repairs and the course of action our team will take to supply the roofing repairs. After repairs are made and your roofing system has been improved our job is not over. Here at Ammons Roofing we stand behind our work and part of our customer service includes a detailed invoice of work that has been provided and project follow through to ensure customer satisfaction. Call today to learn why we are leading the residential roofing industry in Pampa, Texas. Our customers know that when they contact Ammons Roofing for service their requests will be addressed in an honest, respectful and timely manner. We are committed to continually growing and improving our roofing repair services to better serve our clients. We always look forward to hearing from our clients. Call us today at (806) 669-7777 to tell us what customer service means to you.